All Jobstown homes currently listed for sale in Jobstown as of 04/20/2019 are shown below. You can change the search criteria at any time by pressing the 'Change Search' button below. If you have any questions or you would like more information about any Jobstown homes for sale or other Jobstown real estate, please contact us and one of our knowledgeable Jobstown REALTORS® would be pleased to assist you. 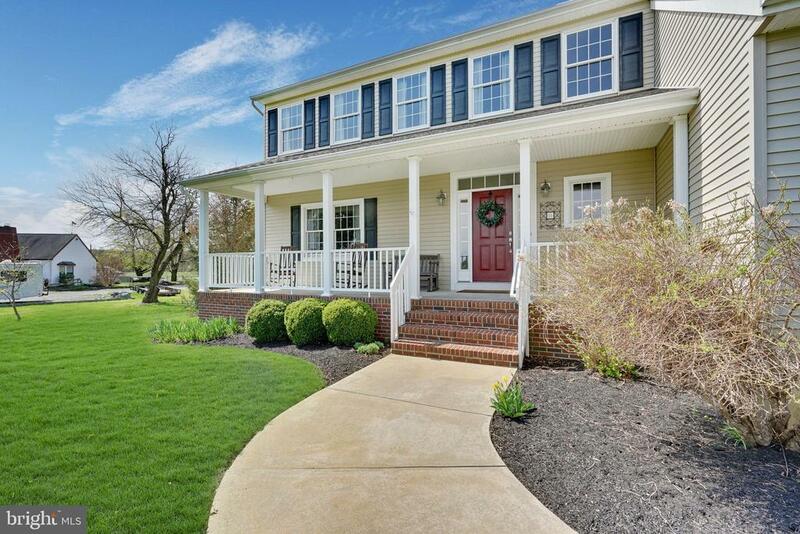 "Pristine custom built Colonial; immaculate inside with modern amenities and situated on an idyllic setting that offers over 2 acres of peace and serenity. Situated generously on Arneys Mount Road, enjoy equestrian views from your front porch. Main level offers classic colonial design that is comfortable for everyday living and functional entertaining. Gleaming hardwood flooring throughout; formal living and dining rooms allow for an open floor plan that leads to a bountiful bright and sunny kitchen equipped with large center island, 42 cabinets, stainless steel appliances, ample custom pantry and overlooks a fabulous family room that is filled with windows galore, wood burning fireplace and this space is the heart of this wonderful home. Generous mudroom and powder room round out the first level. Upper level is complete with well planned and convenient laundry area. Palatial master bedroom is grand in scale with tray ceiling and custom his and her closets. Three equally abundant bedrooms share a beautiful hall bath with dual vanities. Basement offers storage and access to the garage; feel free to finished for endless possibilities. Impressive throughout; private yet convenient to all major commuting routes. Beautiful house to call home!" "Opportunities like this come along maybe once in a lifetime. Live in the county yet be close to most major roadway including the Joint Miltary Base. 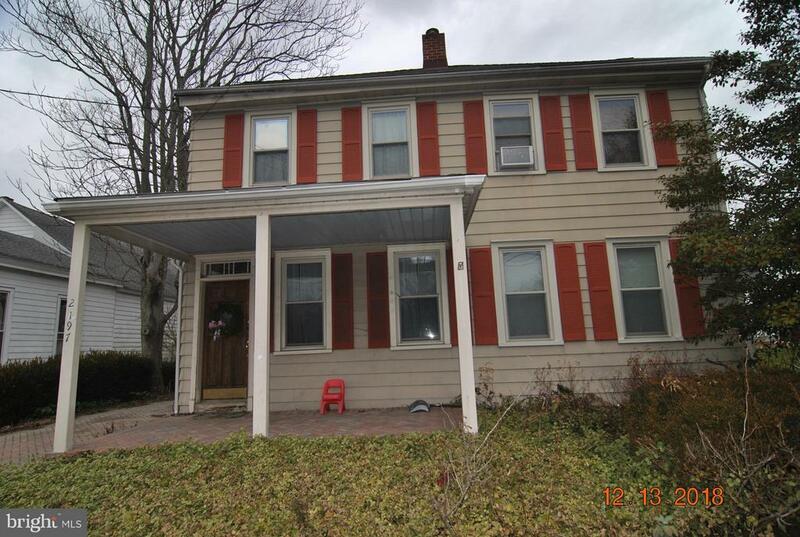 A Colonial style home with an attached one bedroom in-law apartment with separate entry in Springfield Township. This could be perfect for the outdoors person sitting on 6 acres and possible farm assessment in the future. The main house is a 4 bedroom center hall Colonial complete with 2.5 baths, Formal Living room with fireplace and Dining room. The beamed ceiling family room offers Hardwood flooring and another wood burning fireplace with views from the eat-in kitchen. The kitchen was remodeled with cherry cabinets and granite countertops, tons of natural light and attached french doored sun porch. The master bedroom also has a fireplace, walk-in his and her closets plus master bath. Easy entertaining with a large patio and an in-ground swimming pool complete with safety fence surround. 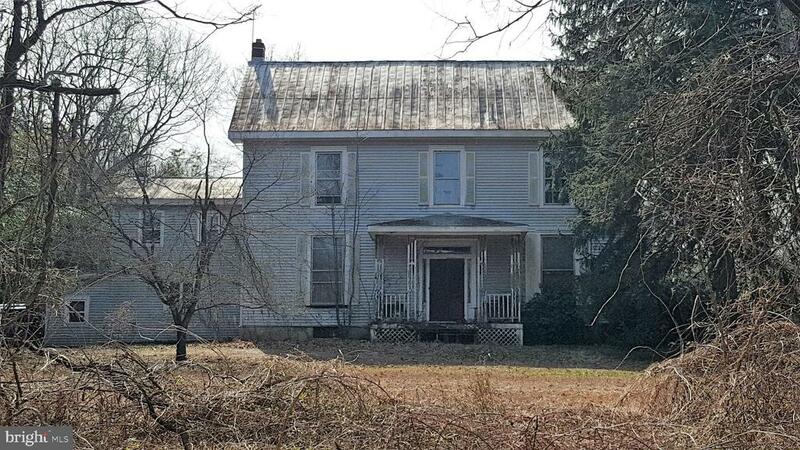 This property includes 2 outbuildings one of which could be a 2 stall horse barn as well as a large 5 car parking carport." "BRAND NEW CONSTRUCTION!! This home is NOT built yet, and you can pick another plan if you'd like. We can build you the plan that works best for you! Great spot in Springfield Twp. 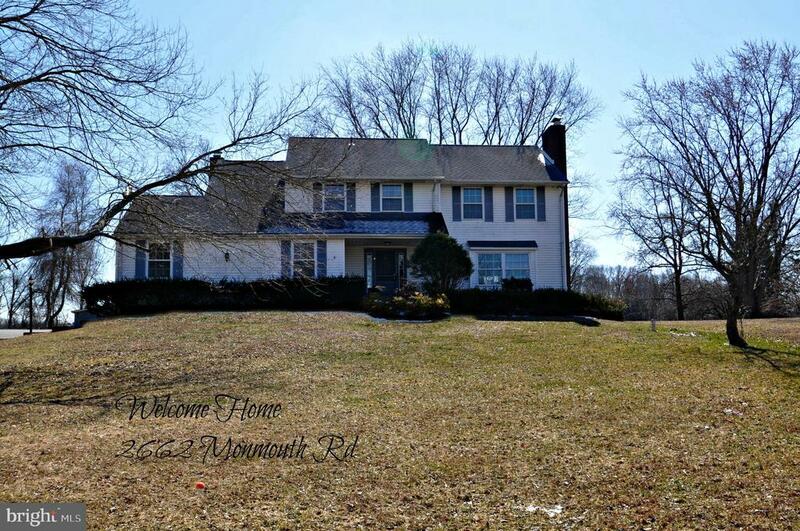 Two story colonial, with a full basement and two car garage. Nice front porch as well. Can't beat the price for new construction, you've got to see this lot!" "Property is farmland preserved. Farmland assessment has lapsed. Approximately 1/2 or more of property is adjudged to be open and tillable and/or suitable as pasture land. House in need of rehab. Possible uses may include: crop farm, truck farm, horse farm, nursery, kennel, etc. Most likely not mortgageable owing to current house condition. Being sold in strictly as-is condition with no warranty of any kind and certificate of occupancy is responsibility of buyer post closing; proceed accordingly. Emblement rights apply. DO NOT TRESPASS!" 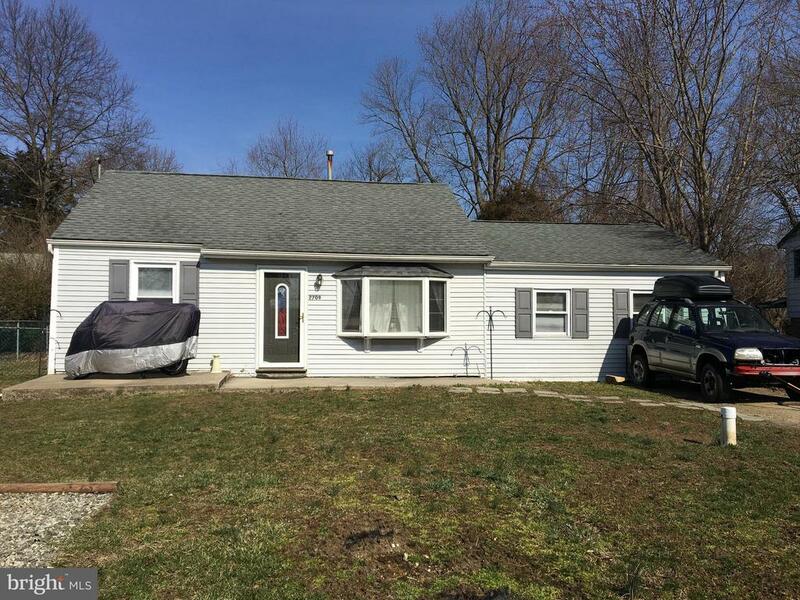 "Situated on a large corner lot, this 3 BR 1 Full bath ranch home anticipates it's new owner! A spacious living room welcomes you as you enter the home and embrace all the natural light shining through the large front windows. The EIK is huge! Allowing for plenty of space to put a dining table. A plethora of maple cabinets, double stainless steel sink, new refrigerator, and pantry all featured here in the kitchen. Each BR is decorated with a fresh coat of paint. An immaculate updated bathroom has glistening tiles that shine! The newly paved driveway (1yr.) is located at the rear of the home for safe entry and exit to the home. The patio (just 3 yrs old) overlooks the infinite yard. Enjoy the open air and entertain guests with ease in this backyard! Septic maintained every 2 years. 3 yr. old roof. Upgraded gutters and downspouts. Newer W&D. 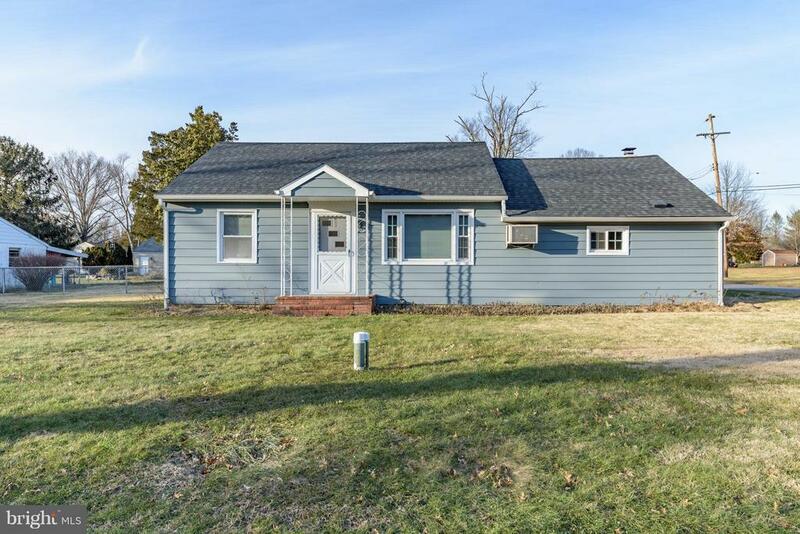 A well maintained home, in a great location. This could all be yours today!" "Occupied property, inspections not available - sold as-is. No for sale sign. Contact with occupants is prohibited. This property is under auction terms. All offers should be submitted through www.Auction.com. This property is subject to a 5% buyer's premium pursuant to the Auction Terms & Conditions (minimums may apply). All auction assets will be sold subject to seller approval." "BEST BUY AROUND! This home includes to lots for a total of 100 x 200, of which approx 1/2 is fenced! Taxes for the add'l lot are $197.00 a year according to the tax assessment.There's easily room for a 30 x 50 pole barn. All appliances are as-is.Selling strictly As-Is. ALL inspections including CO are the responsibility of the Buyer." "Grab this equity, tenant already in place if you want to hold. New windows, newer sheet rock, newer roof, newer well. It~s ready to go! Also hardwood flooring through out most of this home!"